An adaptation to our regular observation den, these structures are a great way for children to look out at their surroundings. You can put them in the playground so they can see the other children playing, or out in the field to get a good vantage point for spotting birds. 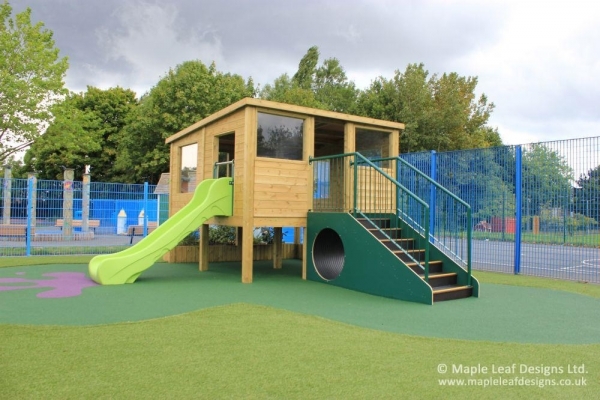 Featuring polycarbonate glazed windows throughout, a mineral shingle roof, a bridge with tunnel and metal handrails, another polycarbonate window in the floor and a rotomould slide for a fun exit, this Observation Den with Slide makes a wonderful multi-use feature for any play space.